VMR Currumbin operates from Currumbin Creek on the southern Gold Coast, primarily servicing an offshore area between Point Danger (QLD / NSW border) and the Gold Coast Seaway at the Southport Spit. 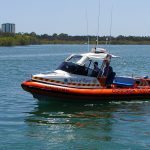 This includes the notorious Currumbin and Tallebudgera Bar entrances where vessel capsizes frequently occur, due to shallow water and rapid tidal flows. 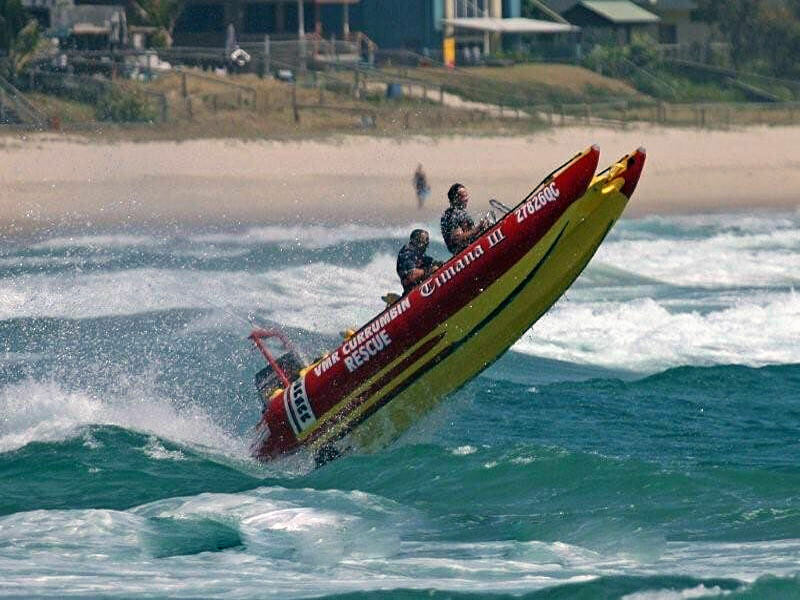 VMR Currumbin was originally formed in 1975 as Air Sea Rescue Currumbin. The Squadron provides a daily radio listening watch on all emergency marine radio frequencies between the hours of 0500 – 1230. In the warmer months, when the mackerel species run on the Palm Beach and Gravel Patch reefs, north east of Currumbin, in excess of 80 boats daily can use the Currumbin and Tallebudgera entrances, the majority of which log their journey with VMR Currumbin. VMR Currumbin is a very small Squadron, however, is manned by a very dedicated group of volunteers who can activate very promptly 24 hours / 7 days if required. 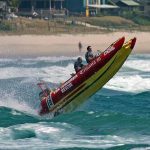 We also work very closely with the Gold Coast Water Police, Gold Coast City Council Lifeguards and Surf Lifesaving Qld. Membership is available at a very competitive price. 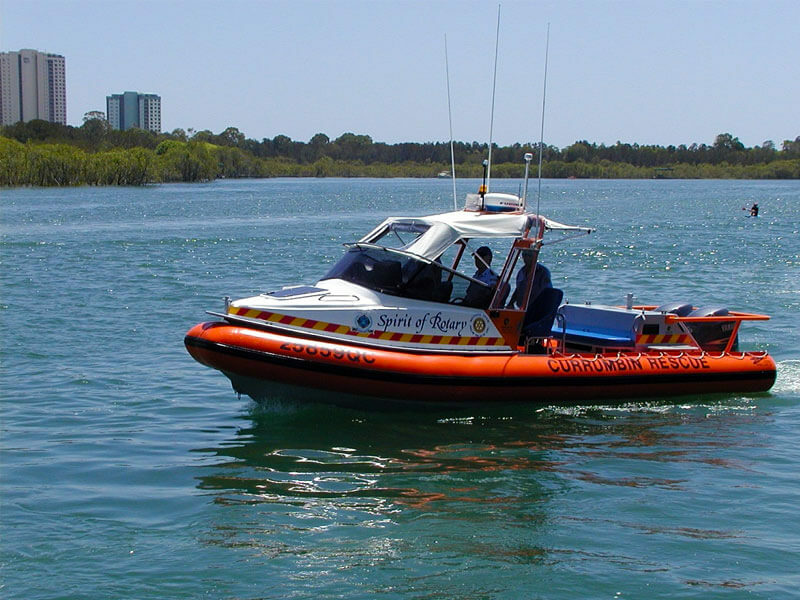 VMR Currumbin operates an 8M RIB Rescue vessel named ‘ Spirit of Rotary ‘. This vessel is equipped with VHF and 27Mhz marine radios and a very sophisticated electronic navigation package. This vessel ideally handles the role required of it, especially given that this Squadron operates regularly in white water conditions. Launch time from Currumbin is approximately 30 minutes.